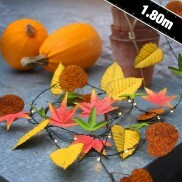 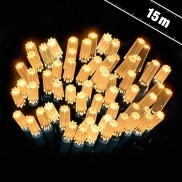 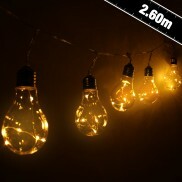 Create an amazing warming glow with incredibly realistic flickering flame effect string lights. 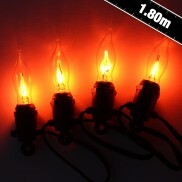 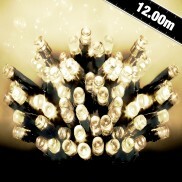 Featuring ten large bulbs, each of which glowing with a flame as realistic as fire. 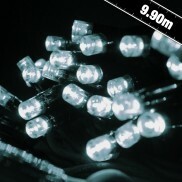 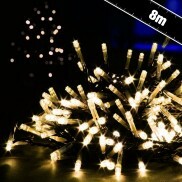 Connect up to fifty sets of captivating warm white LED fairy lights for magical lighting indoors or outdoors! 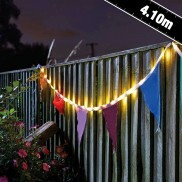 Bring the carnival atmosphere in your home and garden with colourful bunting flags lit by bright white LEDs! 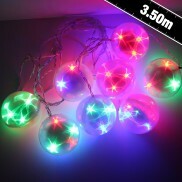 Easy fairy lighting for trees, hang microbright tree net lights from the top of your tree for even coverage in multi coloured, warm white or bright white light! 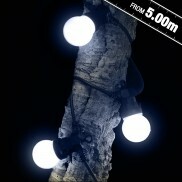 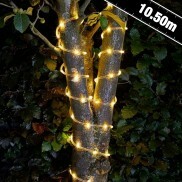 Add extra sparkle to the trees in your garden with enchanting warm white LED lights with 8 functions and a timer. 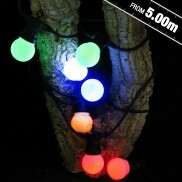 Create beautiful colour change fairy lit displays in your garden and connect up to six sets from one plug! 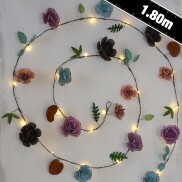 Trim our home and garden with magical light for instant atmosphere with easy to install multi function rope light available in multi coloured or warm white. 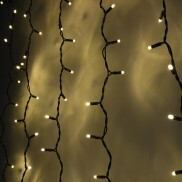 Create magical backdrops of warm white fairy lights with quick and easy coverage from connectable warm white curtain lights. 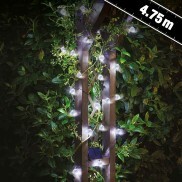 Transform outdoor walls, bushes and trees with enchanting fairy lights with easy to install LED net lights and connect up to 50 sets of warm white, bright white or multi coloured lights! 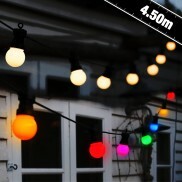 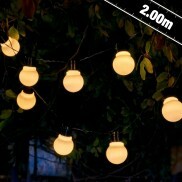 Connect up to one hundred bulbs of colourful festoon lights for crisp, clear carnival style party lighting.... 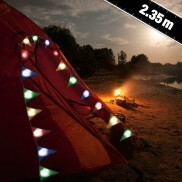 Please note that festoon lights will ONLY work with a transformer sold separately. 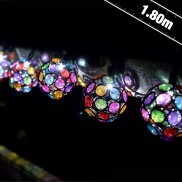 With a whopping 96m of illumination, multi coloured, multi function Supabright string lights add colour and sparkle to your home and garden! 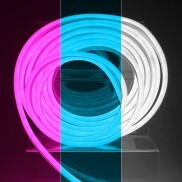 Create your own striking designs from letters, numbers, shapes and symbols and see them come to life in vibrant neon colour! 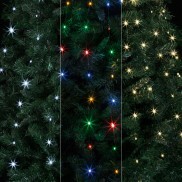 Add four times more sparkle to your Christmas tree with Treebrights warm white timer lights! 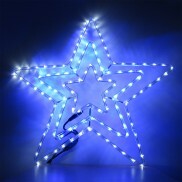 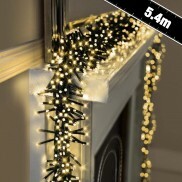 Add extra sparkle to your home and garden with beautiful warm white star shaped LED string lights! 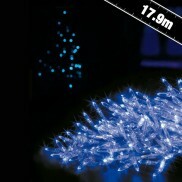 With oodles more sparkle per than standard fairy lights, Chasing Cluster Lights have a beautiful warm white LED cluster effect with independent functions! 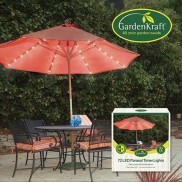 Add twinkle to your patio for effortless style with multi function parasol LED lights. 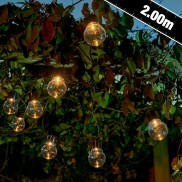 For indoor and outdoor use, traditional 'Cafe Style' festoon lighting. 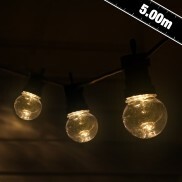 Enhance your space either indoors or outdoors with exposed bulbs and warm white LEDs for funky retro style and atmospheric light. 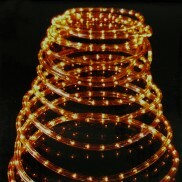 Achieve warm luxurious party lighting with multi function gold mesh LED rope light, perfect for parties both in or outdoors. 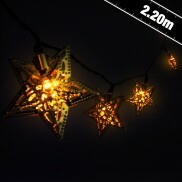 More decorative than standard LED stringlights, Star Caps illuminate your home and garden with star shaped lighting and a luxurious golden glow. 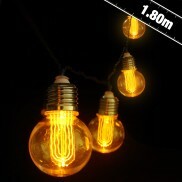 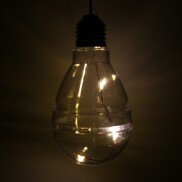 Enjoy the stunning effects of exposed filament bulbs all from warm white LEDs with these stylish retro bulb string lights. 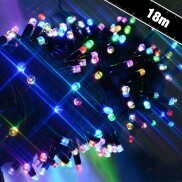 Create magical fairy lit displays with four times more lights per metre than standard stringlights with multi coloured garland lights! 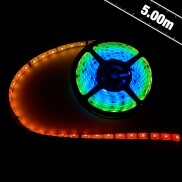 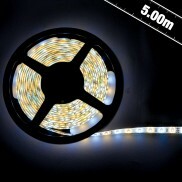 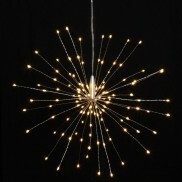 A whopping 70cm LED ropelight star with snazzy starburst effect. 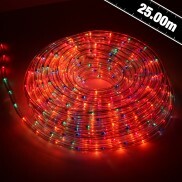 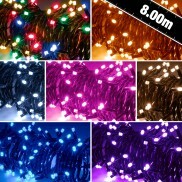 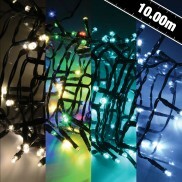 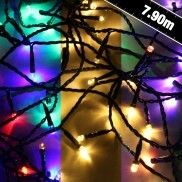 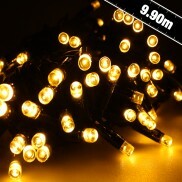 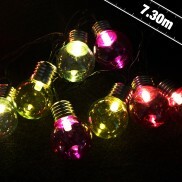 Decorate with enchanting runs of colourful fairy lights with eight cool functions and clear cables for maximum impact! 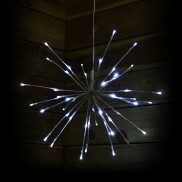 Available in red and white, white and warm white, vintage gold, blue and white or pink. 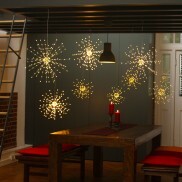 Dramatic light effects for use indoors and outdoors, project swirling patterns of light onto surfaces with Projector String Lights. 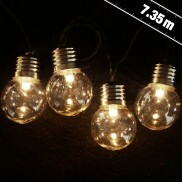 Set only once then leave them to turn themselves on for 8 hours and off for 16 hours at the same time every day. 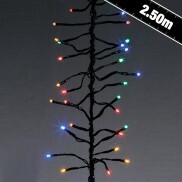 With four times more lights than standard fairy lights, professionally light your Christmas tree for extra sparkle this festive period with multi action LED Tree Lights. 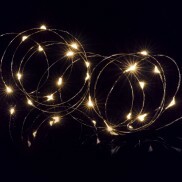 These pretty LED string lights have eight pre programmed sequences and a clever timer function, so you need never remember to turn them on or off again. 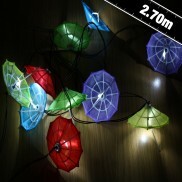 Waterproof and battery operated, they create stunning displays both indoor and out. 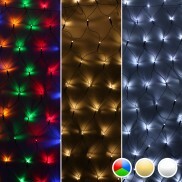 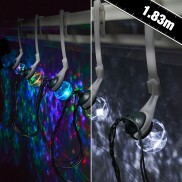 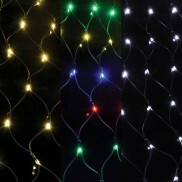 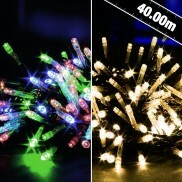 Switch between warm white and multi coloured light effects all in one set of fairy lights! 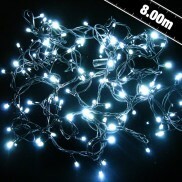 A simple way to add between 9.9 metres and a staggering 495 metres of bright white fairy lighting all from just one plug socket! 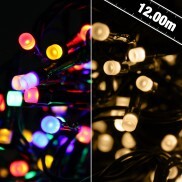 Change from multicoloured to warm white to mixed colours all at the flick of a switch with these LED switch lights. 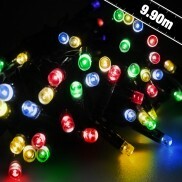 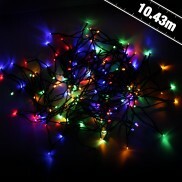 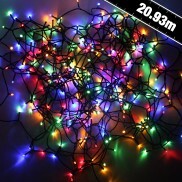 Connect up to 50 sets of colourful LED fairy lights from just one plug for a whopping 400m of lighting! 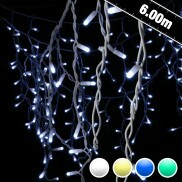 Get the traditional fairy light bulb look with multi function LEDs in this white LED fairy light set. 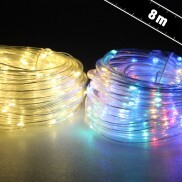 Available in white or blue, this 9m LED Multi-Action Rope Light will beautifully illuminate the home or garden for parties, events and throughout the year. 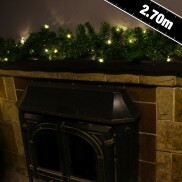 Set once and then the Auto-Timer automatically triggers for 8 hours on, and 16 hours off! 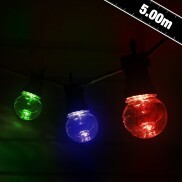 These Outdoor Timer LED String Lights will provide bright multi-coloured or warm white lighting, even in areas with no sun (ie.The UK) and in places without access to mains power. 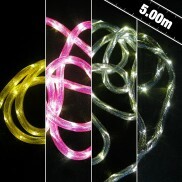 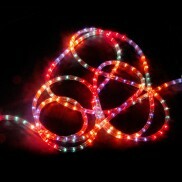 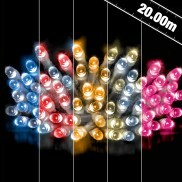 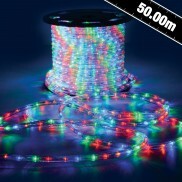 A super long multi coloured rope light for professional displays that can be used indoors and outdoors. 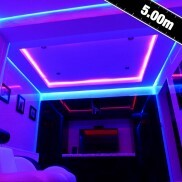 Set the tone in your home with multiple shades of white light; from warm white, to cool white and everything in between with self adhesive LED tape. 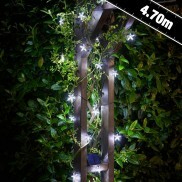 An expansion pack of multi action string lights that can be set to white or multi colour so that you can control up to 20 separate runs of lights around your home and garden all from an app on your smartphone! 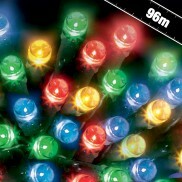 Enjoy multi coloured or warm white light effects all from one set of lights and even switch between with dual coloured chaser lights. Dress up your home and garden with enchanting warm white fairy lights and connect up to 50 sets from one plug! 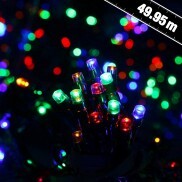 180 LED bulb string lights featuring a multi-function controller to bring some colourful flashing, chasing, fading or static lighting to your home and garden! 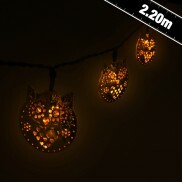 Beautifully illuminate your home and garden all year round with this set of 600 Battery Operated Timer Lights in Warm White. 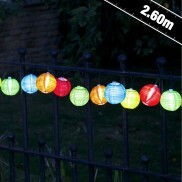 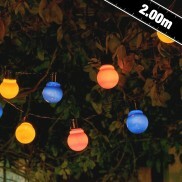 Create funky indoor or outdoor illumination with a huge 25 metres of multicoloured rope light! 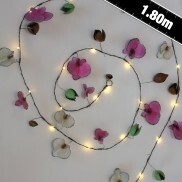 Create beautiful fairy lighting effects both indoors or outdoors with white or multi coloured Cluster String Lights. 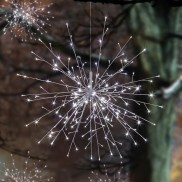 Create stunning fairy lighting displays with twinkling cool white LEDs and connect up to seven sets! 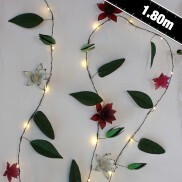 With eight functions and 60 LEDs, this pre-fairy lit festive garland adds instant Christmas cheer to your home or garden. 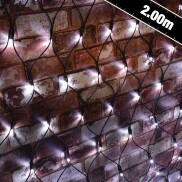 Add sparkle to your walls and windows with net chaser lights in warm white, bright white or multi coloured with eight cool functions! 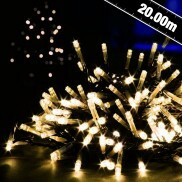 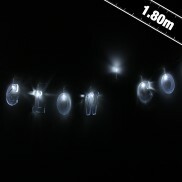 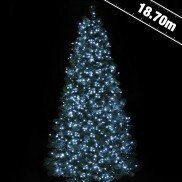 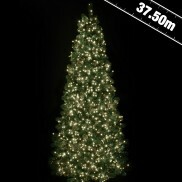 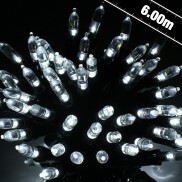 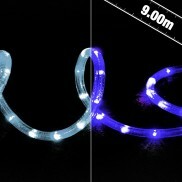 Add sparkle to your home and garden with 20m of warm white fairy lights with timer and eight cool functions! 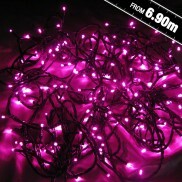 Create stunning displays of bright pink light with LED chaser string lights. 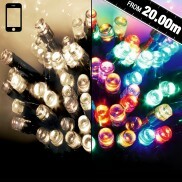 Choose from eight different light modes for ultra bright, ultra eye catching decoration. 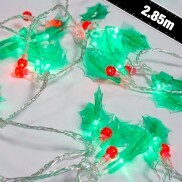 Ultra bright and wonderfully festive holly berry LED lights add extra Christmas sparkle to your home and garden! 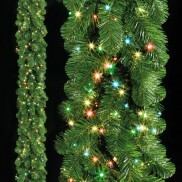 Add magic and sparkle to your home and garden this Christmas with twinkling cascading icicle lights. With eight different speeds and a vibrant glow, this white multi-action rope light is perfect for illuminating both home and garden. 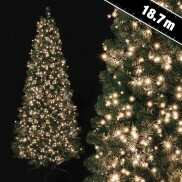 With more LEDs per metre than standard string lights, professionally dress the trees in your garden this Christmas with a whopping 2000 warm white LEDs for instant sparkle! 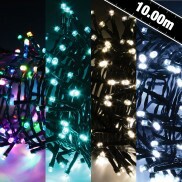 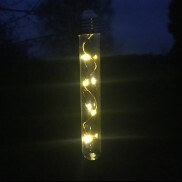 Connect up to five thousand LED's all from one plug for outstanding magical white fairy light displays with White LED Connector Lights!